Staff Sgt. Michael H. Simpson, 30, of San Antonio, Texas, died May 2, 2013, at Landstuhl Regional Medical Center, Germany, of injuries sustained from an improvised explosive device on April 27 in Afghanistan. Simpson was assigned to Company C, 4th Battalion, 1st Special Forces Group (Airborne), Joint Base Lewis-McChord, Wash., as a weapons sergeant. He was deployed in support of Operation Enduring Freedom-Afghanistan. This was Simpson’s third deployment to an Overseas Contingency Operation. Simpson enlisted in the Army in April, 2003, as an infantryman. Upon completion of basic training and advanced individual training, Simpson was assigned to Company D, 3rd Infantry Regiment, the Old Guard, as a rifleman. In 2006, Simpson was assigned to Company C, 2nd Cavalry Regiment and deployed in 2007 as a fire team leader in support of Operation Iraqi Freedom. 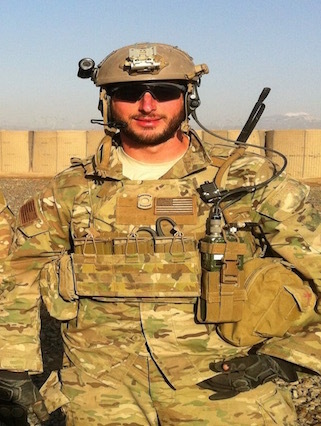 Simpson volunteered for the Special Forces Assessment and Selection Course and completed the Special Forces Qualification Course in July 2011. He was assigned to Company C, 4th Bn., 1st SFG (A) as a weapons sergeant. He participated in the multilateral exercise Cobra Gold in Thailand in 2012 and recently deployed in support of OEF-A. Simpson’s military education includes the Special Forces Qualification Course, Warrior Leader Course, Advanced Leader Course, Combat Life Savers Course, Survival, Evasion, Resistance, and Escape (SERE) Course, Hazmat Driver Instructor’s Course, Joint Armorers Training Course, and the Basic Airborne Course. His awards and decorations include the Army Commendation Medal with two oak leaf clusters, the Army Achievement Medal with three oak leaf clusters, the Good Conduct Medal with three oak leaf clusters, the National Defense Service Medal, the Iraq Campaign Medal, Global War on Terror Service Medal, Overseas Service Ribbon, Noncommissioned Officer Professional Development Ribbon with numeral “2” device, Army Service Ribbon, Special Forces Tab, Combat Infantryman Badge, Expert Infantryman Badge, and the Parachutist Badge.